above Oslo. You need a Flash-enabled computer to watch this slideshow. 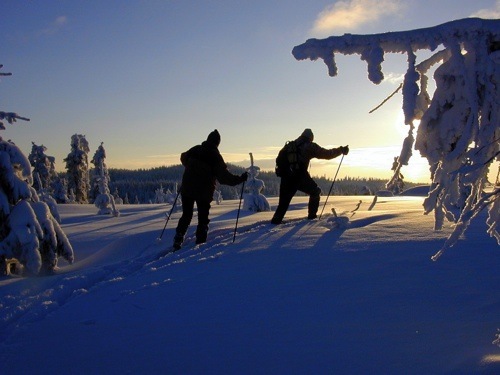 Conquering the remote Juthaugen ridge on a late December morning. 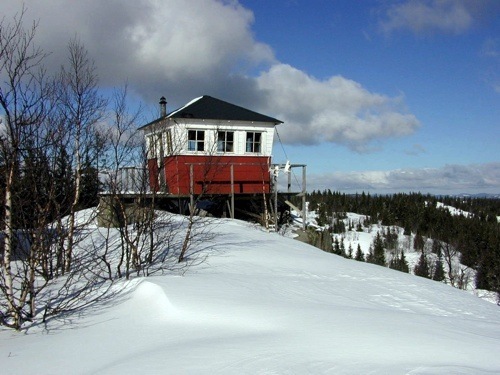 Oslo's highest point, the little-visited Kjerkeberget at 678 meters above the sea. 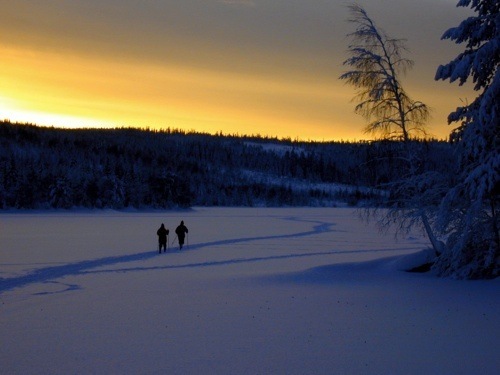 Going for a sunset ski on the frozen Lake Mylla in Nordmarka. 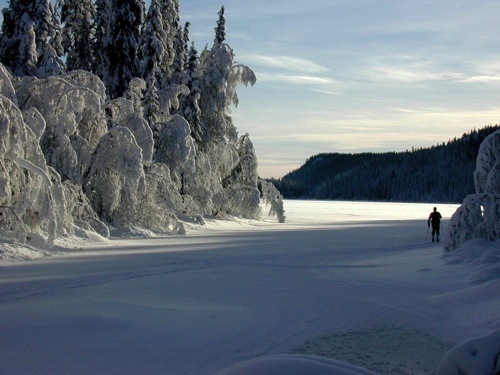 A lone skier on Lake Spålen separating Nordmarka from Krokskogen. 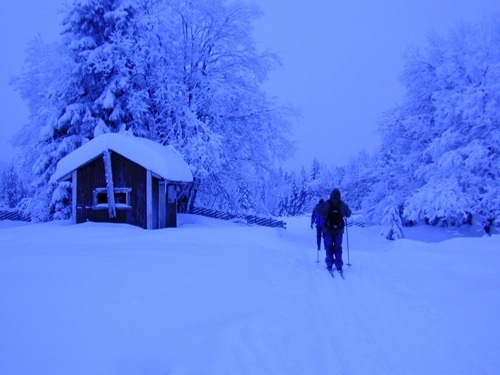 Passing through the forest farm of Holoaseter in the blue hour of the winter afternoon. 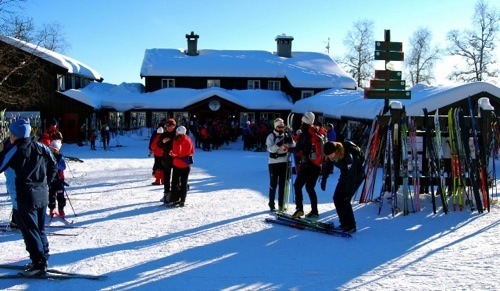 Kikutstua, the largest forest lodge in Oslomarka, can receive thousands of visitors on a good winter weekend. 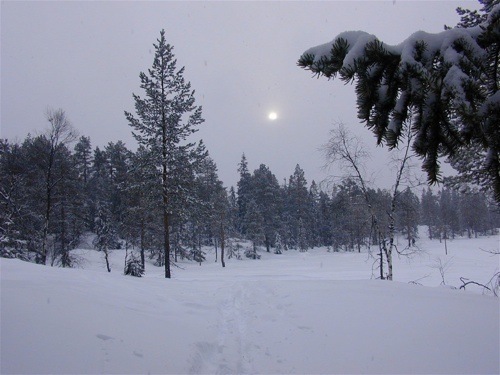 A low sun over the frozen marshlands of Glåmene in Nordmarka. 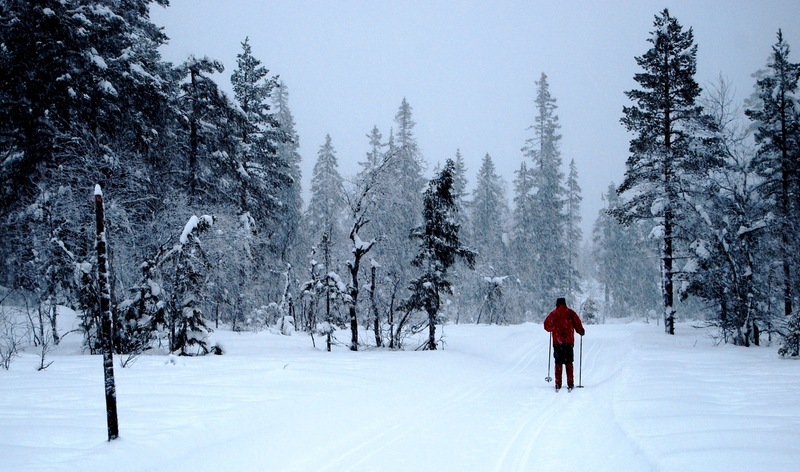 A frisky ski trip on the Around Lake Ølja circuit, on a rather rough day.